Since I've been too lazy to blog but not too lazy to do my nails, I have a bunch of polishes to show. These are random ones that I've worn over the last month or so. 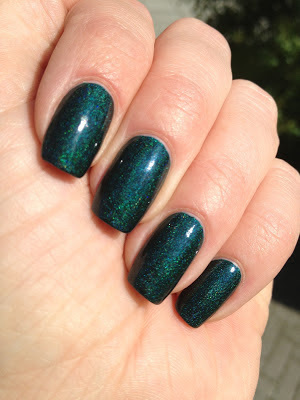 Zoya's Charla was a lemming for a while before I got it (Zoya's are hard to get in Sweden at a reasonable price) and it did not disappoint! 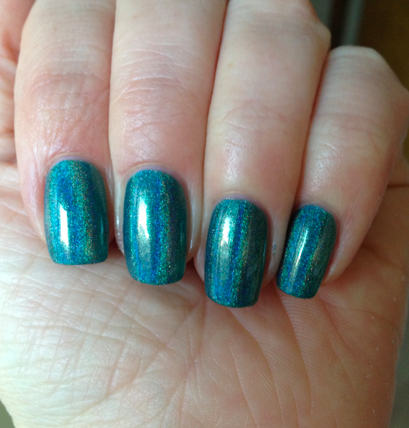 This is three coats, I think. This was a Kiko I had standing around in my cupboard for quite a while before I used it. 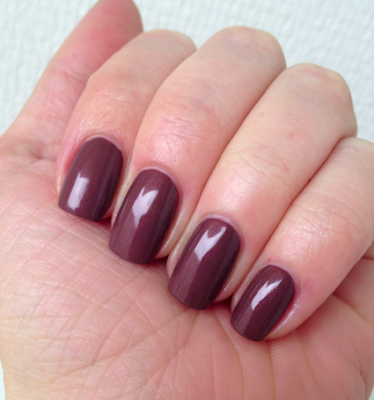 I did like the soft cocoa shimmery look of it, but thought it might look too tame on the nail. To the contrary. 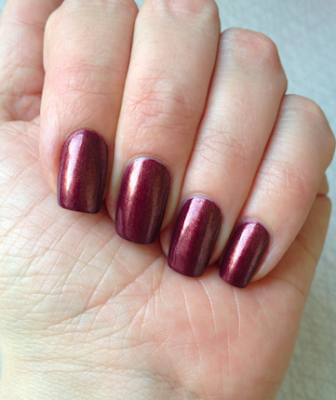 This is chocolate shimmery loveliness incarnate, and may be one of my favourite polishes. 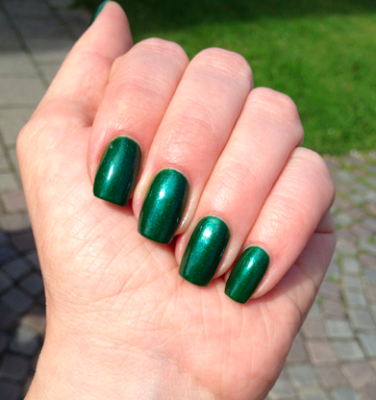 Two easy coats with Kiko's perfect brush! Nr 373. 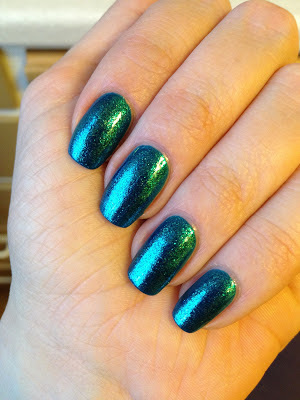 Zoya's Ibiza. 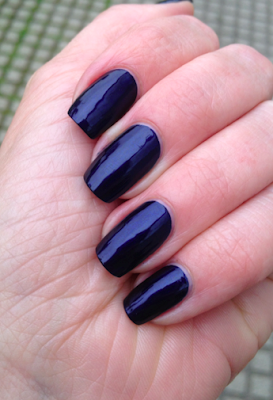 A high quality dark blue shimmer. A joy to apply. Two coats. Jade's Energy. Three coats of holo tealy blue perfection. The holo is a lot stronger than what you can see here. It wasn't fantastic looking in a cloudy setting, but when the sun peeked thorugh - WOW!! I didn't even know this existed before I saw in my Facebook swap group!! 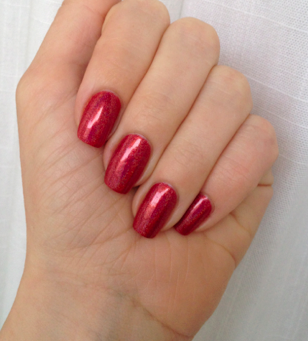 Rockin Rocket by Orly. I got my claim mixed up when I saw it, but thanks to the helpful person who called it first, we made a three-way-swap and I got my hands on this beauty (I gave up Elevation Polish' Uluru). Big love on this!! George Blue-ney by Catrice. Another swap! 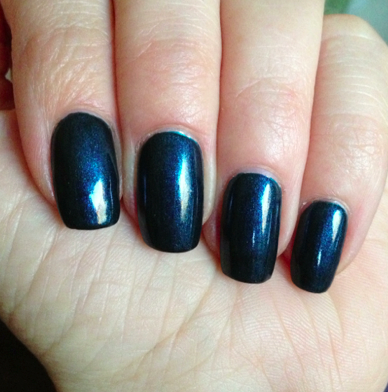 Steely dark blue with a hint of teal. Beautiful! Jade's Vermelho Surreal. I had longed for this for a long time before I bought it and unfortunately it was a diappointment:( It was a lot more rusty-looking where I had expected a bright red. I got rid of it in a swap, but have since then asked myself if I did not make a mistake there... Time will tell. So many pretty polishes in one post! Zoya Charla is my all time favorite polish. Hard one to beat, I agree!